Do you remember Hannah who was the inspiration for the famous book “A Beach day for Hannah”? Or Fiona and Angus who were killed by their neighbor or maybe “Friends” starring Courtney Cox’s big baby? Not really sure of what I am talking about? Or let me just presume that you’ve already got me. That right! I was referring to the names of famous Bernese Mountain Dogs who had repeatedly gained immense popularity. 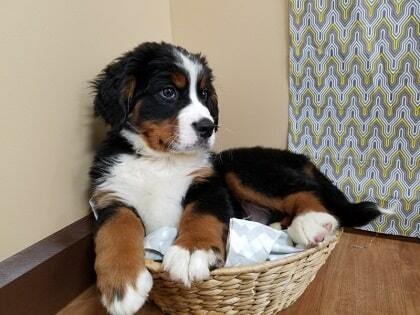 9. Who should Adopt a Bernese Puppy? 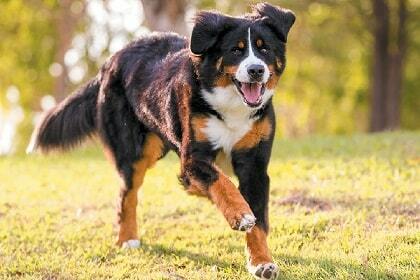 The Burmese Mountain Dog is a large dog with heights ranging from 61-71cm for males and 56-66 cm for females. They have a slightly long, muscular body weighing around 70-120lb. Their limbs are exceptionally strong with cute round toes. A key feature of a Bernese Mountain Dog is its tri-colored coat with a palette of the colors black, white and tan on it. The two distinctive marks on its coat are the “Swiss cross” and the” Swiss kiss” which are white marks located at the chest and the back of the neck respectively. To complete their endearing look are the medium triangular, drooping ears, expressive eyes, and a fluffy tail. Belonging to the breed of Sennenhund Type from the Swiss Alps. The dogs hail from the ‘land of chocolates and watches’ namely Switzerland. The name Sennenhund directly refers to the German words “Senne” and “Hund” eaning “the alpine pasture” and “hound” respectively. They were popular in the farm culture and also accompanied the herders to the mountains. 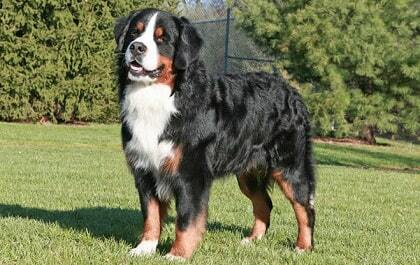 This earned them the title of mountain dog and the name Bernese, however, was inspired from the “ Canton of Bern”. Presently, the Bernese Mountain Dog is popular all over the world being the 32nd most talked about dogs in the USA as per the AKC. Despite the solemn look on their faces, there is a touch of goofiness in their personality. These big pooches are very calm and affectionate when it comes to children. This quality of their makes them great playmates. These dogs too are fond of children and often act as protective “Godmothers” around them. Although they are very welcoming of strangers and other pets, they often get biased and choose to stick around their own favorites. Well behaved, shy, strong and enduring are the four words that give the complete picture of the dog’s personality. Having them around you would make you and your family feel a pleasant vibe. Being working dogs they naturally love to work and explore. Just like small kids, the Bernese puppies should also be trained to socialize at a tender age. An average Bernese mountain dog weighing around 100 pounds requires around 2206 calories due to its large size and work schedule. High-quality protein is recommended by nutritionists. A food comprising of natural ingredients. Contrary to the popular belief, It has been found that foods like soy, wheat, and corn contain less allergenic than meat. 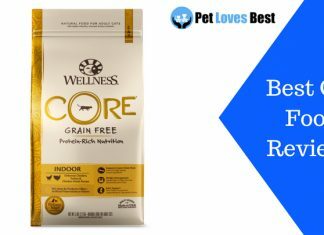 Therefore it is completely safe to supply your dog with such nutrients. Puppies, however, should be served puppy food till the 4 months of age. These dogs are very intelligent which makes them learn quite a few tricks performed on commands. They are people, pleasers, and love to please their masters. However, their shy nature keeps them away from the people outside their family perceived as a “clan”. A little patience and determination would help you encourage your beloved pup do wonders. These dogs have a very low capacity to endure the pressure of heavy activities or withstand long hours of exercise. They should be made to engage in moderate activities for short intervals twice to thrice a day. It is said that our dog is just a part of our lives but for them, we are their whole world. This saying goes literally with these dogs. 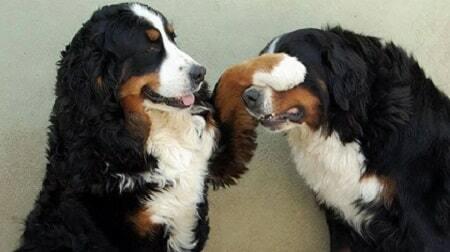 Bernese mountain dogs have a really short-lived lifespan of hardly 7-8 years. These dogs are susceptible to many dog problems including different kinds of inherited cancers, cardiac problems, cataracts, osteochondritis etc. Malignant Histiocytosis– This is a form of cancer that often leaves your dog drained both emotionally and physically. These are basically appearance of bumps on the surface of the skin usually detected in areas around the eyes, scrotum or muzzle. These outgrowths on the skin keeping disappearing and coming back. This usually affects older dogs and is fatal in nature. The symptoms include coughing, fatigue, shortness of breath, loss of appetite leading to loss of weight. Mast Cell Tumors (MCT) or Mastocytoma- Initially they occur as protruded round bumps on the skin. Dogs who are at the onset of late adulthood. Often face this disease. Common symptoms include abdominal pain, vomiting, and loss of appetite. Osteochondritis Dissecans– Also known as OCD is a painful disease that affects elbow joints, shoulders, and knee joints of your dogs. This is a common name to the vets when it comes to the world of big dog health. It is usually caused due to unusual development of the bone and is mostly observed in puppies between four to eight months of age. The occurrence of pain is due to breaking up of the cartilage as inflammations form on them. The symptoms are swollen joints and your puppies wreathing in pain. 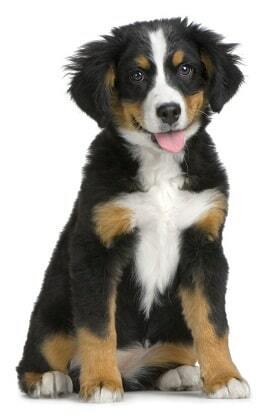 A Bernese mountain dog is a large dog who might be in need of more than a small apartment area. Might shed a little more than many dogs thus he needs regular grooming. He needs a little care, patience, and warmth to grow up into a healthy dog. Thus only proceed if you think you are confident enough to upbring these babies into wonderful adults. Last but not least, remember to get the dog only from a licensed breeder.